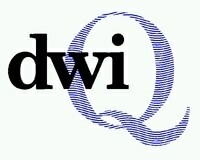 Unofficially known as the “Inspectorate”, the DWI is the highest water authority in the UK. Drinking Water Fountains has increasingly become involved with them through the installation of drinking fountains in public places – and it is important for clients to understand their regulatory framework and the responsibilities they take on when installing public drinking water fountains. The Drinking Water Inspectorate is a section of Department for Environment, Food and Rural Affairs (DEFRA) set up to regulate the public water supply companies in England and Wales. Essentially they report and contol the drinking water quality in the UK, and are responsible for reporting this to Europe. Based in Whitehall, it produces an annual report showing the quality of and problems associated with drinking water. Its remit is to assessing the quality of drinking water in England and Wales, taking enforcement action if standards are not being met, and appropriate action when water is unfit for human consumption. They regulate over all other industry bodes and all the utility water companies across the UK. Further information can be found on the main website – www.dwi.gov.uk – or by calling us on 0845 500 4455.